It was a gift. I probably would have chosen Home, but Pro is nice to have for the Remote Desktop feature. It's stable, I'll give it that, but I feel maybe my system is a bit too old to fully optimize this operating system. I'll get random function hangs, my scanner no longer works due to no existing twain drivers. But other than that it seems to boot faster than windows 7. 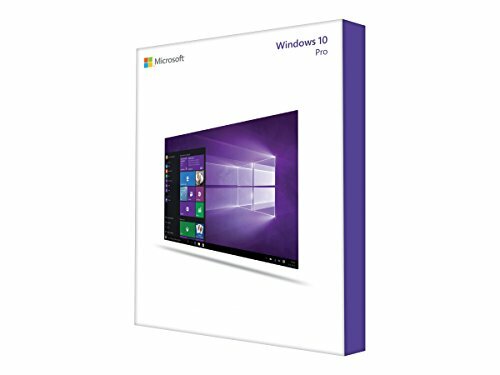 Windows 10 Pro I got a good deal online for this. I genuinely have no idea what the differences are but hey anything with Pro in it has to be worth it.... Right? from completed build i7 workstation. It's green, but also white. You can use your windows 7 key to activate it... it's also wayyy better than WIndows 8. I prefer it over windows 7 due to the "app" marketplace, and I have a Microsoft account so I like Onedrive and the settings sync between my tablet and PC's. Got it of a website, they sent my a picture of the CD Key sticker on a Windows CD case. My assumption is that when a store like Walmart stopped stocking their shelf's with windows 7. So in order to recoup some capital they sold them in bulk. The purchaser is now selling them at a steep discount. I must say I was hesitant on getting win 10,i got it on the USB stick bc I wasn't planning on installing a optical drive,im going to save the 5.25 slot for maybe a nice fan controller after I add 2 more pull fans to the H100i GTX.but,i really like win 10 much more than win 7 now that ive gotten to learn how to use it and navigate it well,ive read so much bad stuff about it,but I must say it was all untrue in my case,runs all the newer game great,new menu is AWESOME,and its just a good experience as far as my trials with it. Compared to Windows 8, it's a god. It's cute and speedy, but it just isn't Windows 7. It looks all modern and stuff, but if you are looking for an all around best OS, do yourself a favor and use Linux. So far this OS has been so-so. It boots faster and has some interesting features that make configuration of new hardware much easier, however, it has some drawbacks as well. I still do not like the graphical interface version of the start menu, and I dislike the auto-updating feature. The first time I connected to the internet it ground the internet connection to a halt for several hours until Windows had its fill of updates. Even then, it still had some things it missed that I had to backtrack on, most notably .NET framework updates and it completely disregards anything older than direct X 11. In order to get some older games to work, I had to manually install Direct X 9c and 10 and manually update .NET framework. It also has issues with online games losing connection, whereupon it freezes up and has to be hard rebooted or you have to wrestle the hung app in Task manager. Windows 7 would just gracefully disconnect from server and return to the desktop or the client's log-in page. I also dislike how control panel is buried in the settings now, that seemed really silly. I am still finding things I do and don't like, but for the moment its soso. It needs a lot of polish before I consider it worth giving more stars. My only reason for buying it is because it should have a longer usable lifespan than 8.1 and 7.
from completed build Oculus Rift build - "Rift Rig"